At Fort Worth's first food truck park, families and friends can enjoy a variety of gourmet dishes served up by some of the area's top local chefs. The serene park-like setting in Fort Worth's Cultural District features picnic benches, dog runs and outdoor games. All trucks accept credit cards. 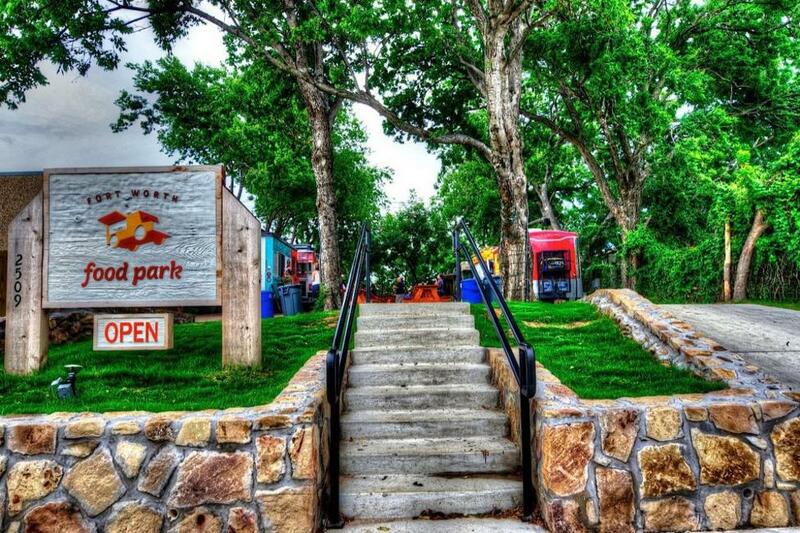 Fort Worth Food Park is Fort Worth's first food truck park where families and friends can enjoy a variety of gourmet dishes served up by some of the area's top local chefs all in one serene park-like setting in the heart of Fort Worth's Cultural District . The Park is pet-friendly, BYOB and all trucks accept credit cards.